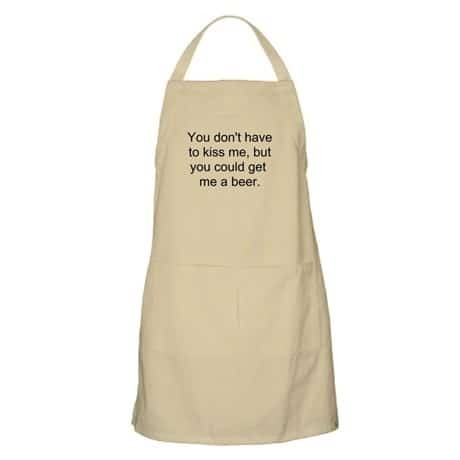 Grilling season is here, and with it comes long summer nights, beers on the patio, and latest in apron fashion. Haute couture seems to have passed this humble garment by. 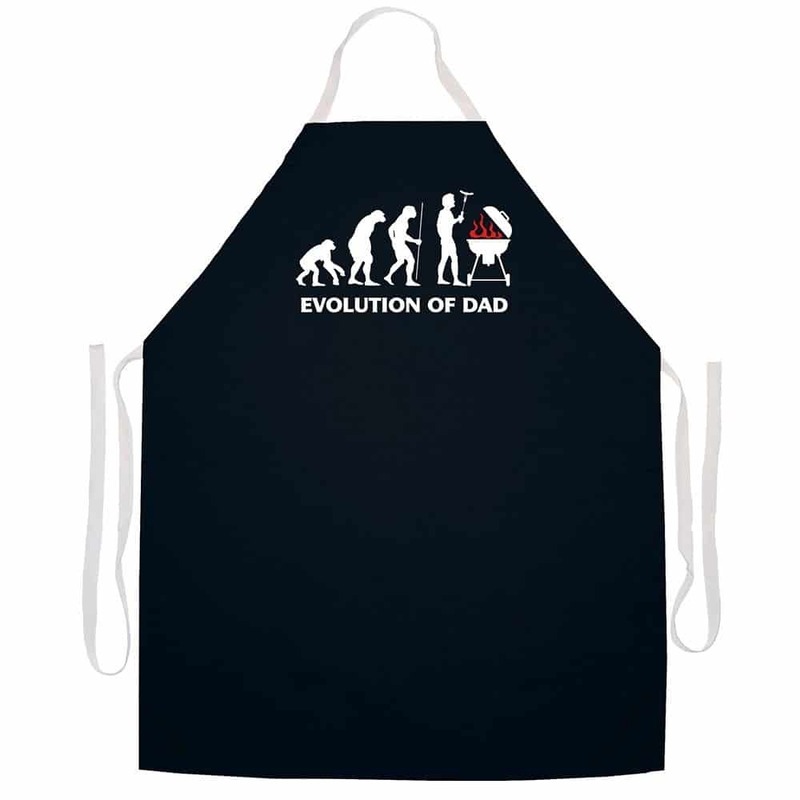 Instead, the most fashionable are the funniest apron, whether they are goofy, rude, or groan-worthy dad jokes. 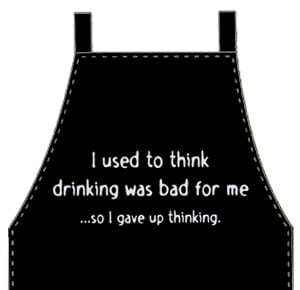 A few are even clever. 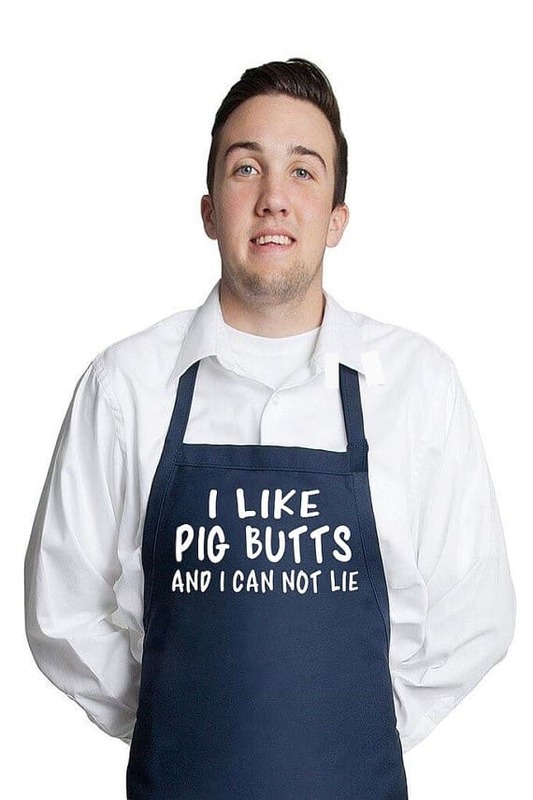 Here we’ve compiled a list of 19 funny grilling aprons for that perfect Father’s Day gift, or summer cookout attire for you. 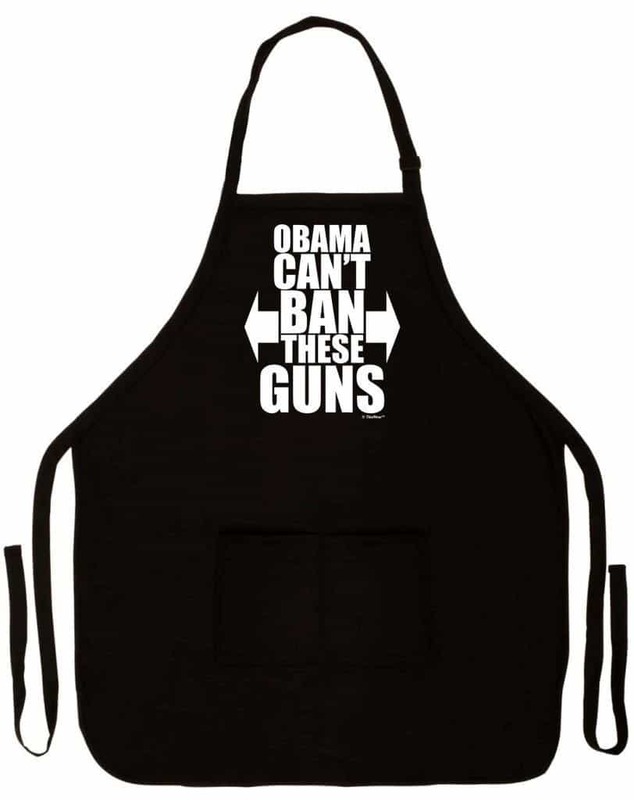 Wearing this apron, you will never reach for a tool or beer and find yourself empty handed. Just be careful you don’t fall over under the weight of all this stuff. You can look like you’ve got a six-pack, even if you’re carrying a whole keg. 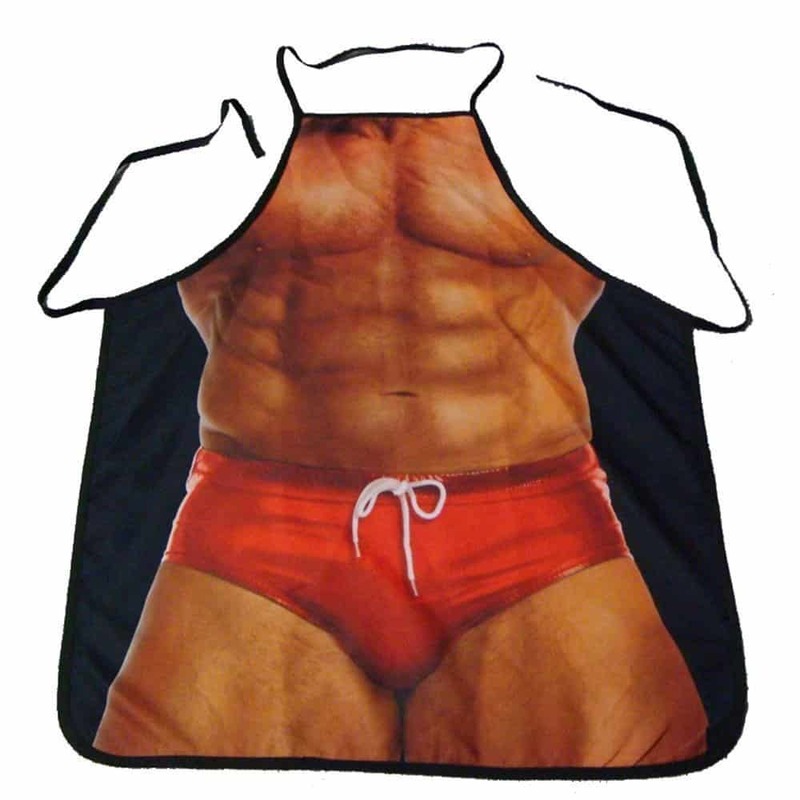 This apron is probably best saved for when you’re grilling with your buddies or the gals. This isn’t madness or Sparta, which is probably just as well. 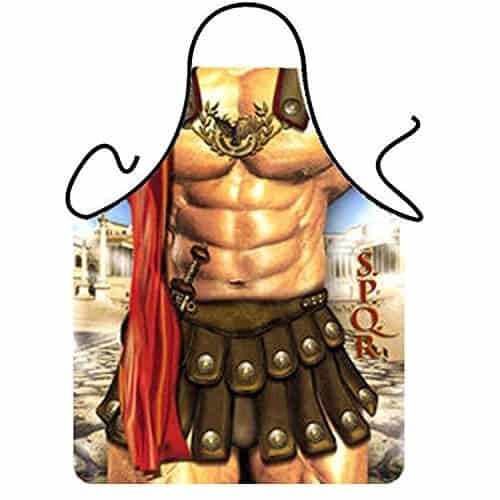 Intimidate all the lesser mortals into keeping the peace in your backyard with this legionnaire themed apron. Too often true, though few have the guts to admit it. Grilling is a fine art, and masters take years to master their craft. Most of us, though, can only manage fingerpaintings. And who can blame you? If the choice is between a good, cold beer, and all the troublesome cogitation… What was I saying again? This one’s a bit politically charged, but still worthy of a giggle. 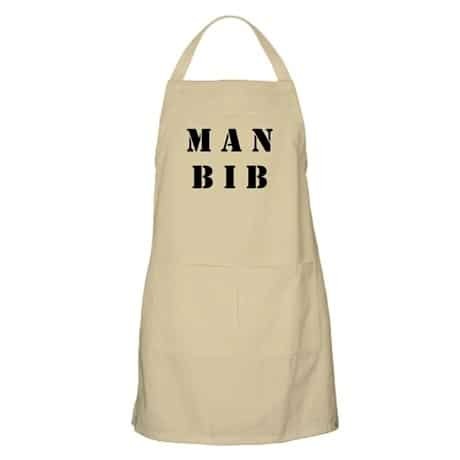 Most of the guys wearing this are loaded with blanks, anyway. It’s the truth. The pinnacle of a dad’s achievement is the perfectly grilled dog, brat, or burger. It’s what separates us from the animals. As double entendres go, this one is pretty direct. Though, taken at face value, it might mean you’re in for a tasty meal. 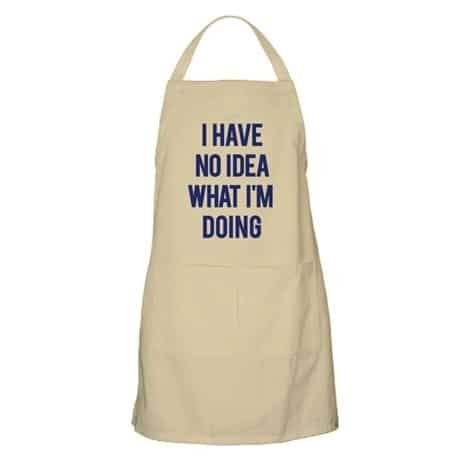 ‘Kiss the Cook,’ is an old classic, but this one is a bit more honest. Grillers only really want a kiss from a few people, but they’ll take a beer from just about anyone. For some dads, mac and cheese or a well-ordered pizza is the best they can do. The grill is dad’s traditional place, though, and he often ends up in charge of charring meat, whether we want him to or not. 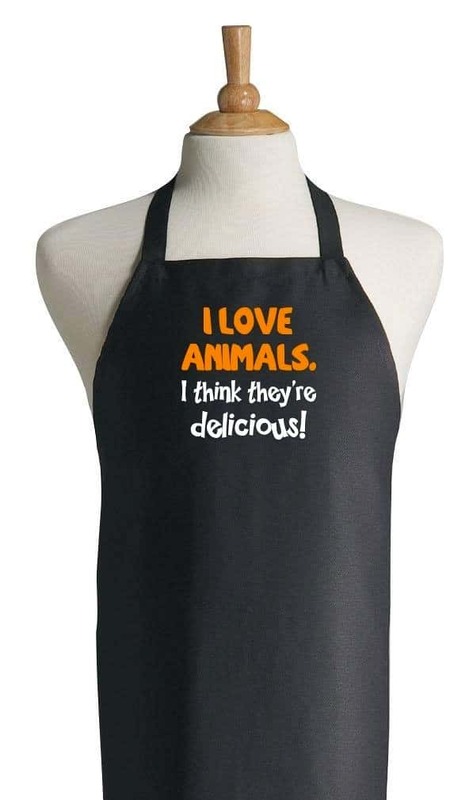 The vegetarians in your life may not think this is very funny, but everyone else will get a chuckle. And say what you want, a well-grilled burger or steak is pretty tasty. Sir Mixalot is probably OK with this riff on his famous line. I bet he likes a nice pulled pork sandwich as much as the next guy. 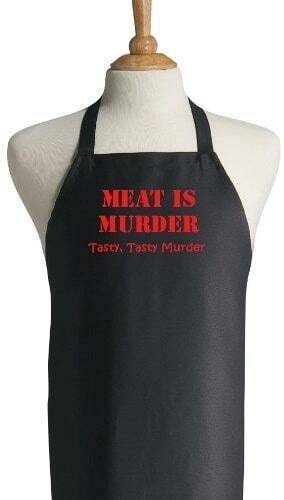 In any case, it’s always a good idea to be forthright in regards to your fondness for meat. He’ll make you an offer you can’t refuse, one that goes on a bun with ketchup and mustard. Call him, ‘Don,’ and he’ll throw in some chips and coleslaw. 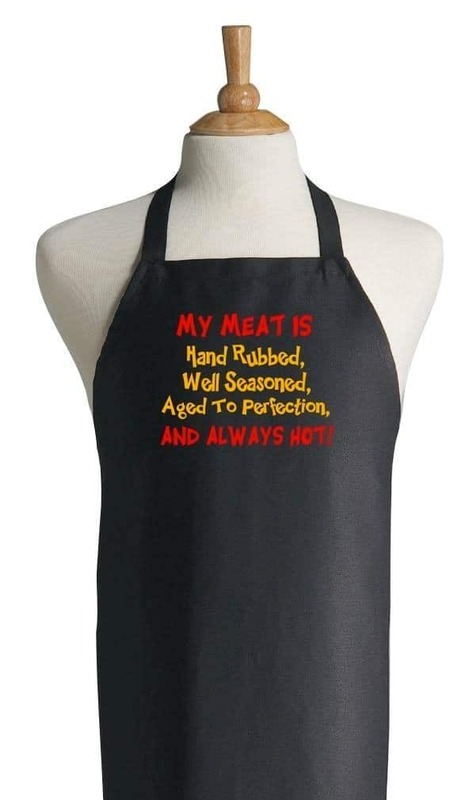 This apron is another honest assessment of the life of a grillmaster. Cooking outdoors leave means you’re out there with the nature, your only defense the comfort of a cold drink. A good grillmaster will never admit he’s in over his head, which is why he occasionally needs others to supply the common sense. 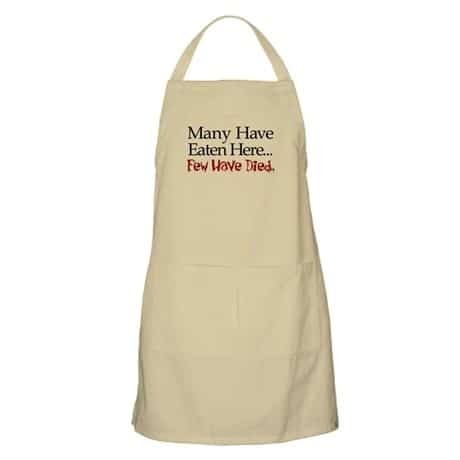 This apron isn’t just a joke, but also a cry for help. Animal lovers come in all types. Some like the critters when they’re furry and trotting around. Some like animals best when they’re sizzling on the grill. Some grillers should wear their aprons at mealtimes, as well as when cooking. A fine, discerning hand at the grill can be a little less delicate when it comes time to chow down. Let’s face it. 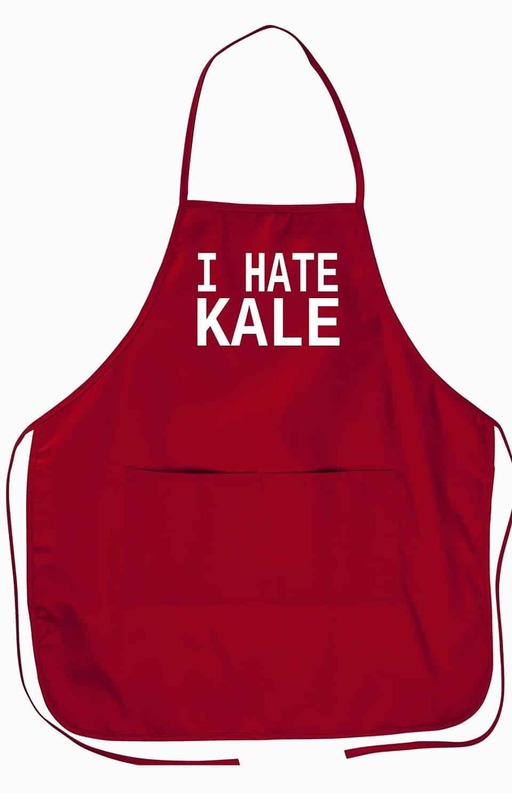 Kale is one of those newly fashionable superfoods, but it is still fit only for rabbits. When it comes time for grilling, what we want is something a little tastier. 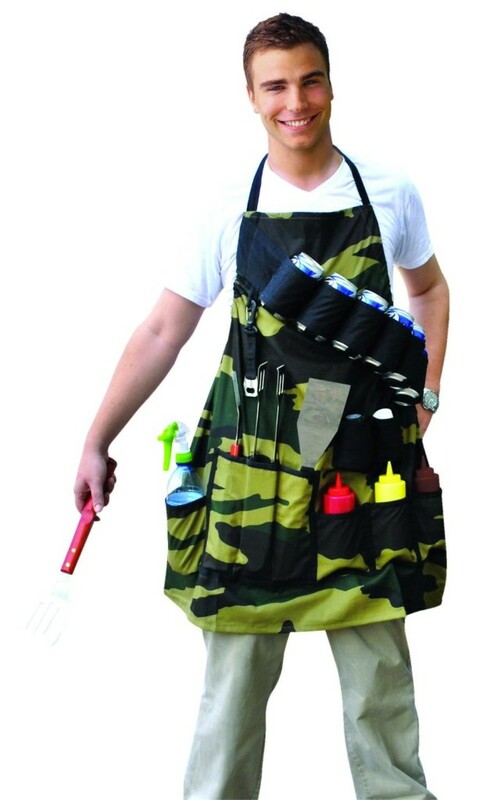 The fashionable grillmaster will find him or herself wearing a chuckle worthy apron this summer, with the proper accessories: a pair of tongs in one hand and a cold beer in the other.